AusBiotech has responded to five medical device submissions over the past eight weeks, following a number of consultations released by the TGA. A further review is underway and in recent days, the TGA has released its Action Plan for Medical Devices. Using the insights of its members to inform its responses, AusBiotech is an active contributor to TGA proposals. The five submissions covered a) medical device cyber security; b) medical device reclassification; c) unique device identification system for medical devices; d) changes to a number of definitions and the scope of the medical device regulatory framework; and e) the regulation of personalised medical devices, including 3D-printed devices. A short summary of each submission is below with the full submissions published on the AusBiotech members’ website. The AusMedtech Regulatory Affairs Expert Panel commented on the five responses submitted. The panel is a subcommittee of AusMedtech, providing expert advice on operational and policy-related regulatory matters. An additional medical device submission is also underway on the Proposed changes to the classification of active implantable medical devices and their accessories – due 29 April. Submissions to four further TGA proposals are still being considered: Proposed new classification rule for medical devices that administer medicines or biologicals by inhalation; Proposed medical device classification for human cells, tissues and organs storage solutions and IVF media; Proposed new medical device classification for substances introduced into the body via a body orifice or applied to the skin; and Proposed changes to the classification of medical devices used in direct contact with the heart, central circulatory or central nervous systems. Members can contact AusBiotech if they are affected by the proposed changes. The TGA announced an Action Plan for Medical Devices to further strengthen the medical device system, with the key aim of ‘placing patient safety first’ on 4 April. Three key strategies are identified in the Plan: improving how new devices get on the market, strengthening the monitoring and follow-up of devices already in use, and providing more information to patients about the devices they use. There will be open public consultations to seek feedback on proposed policies, regulations and the guidance materials developed. The TGA is a world-class regulator, and - like industry - takes its role very seriously. AusBiotech is supportive of initiatives that seek to further enhance Australia’s robust regulatory medical device framework, and help to keep patients safe. As the TGA recognises in the Plan, regulatory requirements for medical devices in Australia are some of the most stringent in the world, and AusBiotech will continue working with the TGA, and members, throughout the consultation process to ensure that our Australian regulations continue to be commensurate with the level of risk, and help protect patient safety. The medtech industry operates in a global environment. In this context, ensuring harmonisation with global regulations and guidance on cybersecurity for medical devices is essential. While the draft guidance provides some useful information, it is a large and unwieldy document; the AusMedtech Regulatory Affairs Expert Panel provided comments on how it could be made more accessible. In general, AusBiotech agrees with the recommendations on aligning with the European Medical Device Regulation for the intention of streamlining the application process in Australia, and reducing the burden on the Australian regulator. However, considerations need to be given as to the rationale supporting the alignment, and the potential implications for Australian Manufacturers and Sponsors. In this case, it appears that the TGA is not completely aligning with the new regulations, therefore potentially causing possible unforeseen barriers in gaining market access to Australia. It is recommended that further consultation be circulated with a clear justification for the variation between the two regulatory agencies. In summary, AusBiotech supports the proposal to implement a UDI system in Australia on the proviso Australia adopts a globally harmonised UDI system consistent with that of the US and EU. This includes ensuring alignment with international coding standards of UDI issuing agencies designated in the US and accredited in the US. In May 2018, AusBiotech, in collaboration with other industry organisations published a joint policy paper titled ‘UDI Implementation in Australia’ (Policy Paper). AusBiotech supports the recommendations set out in the policy paper and also made additional recommendations in response to the consultation. AusBiotech agrees with the TGA’s approach and suggested amendments, which will facilitate greater harmonisation with global regulations. 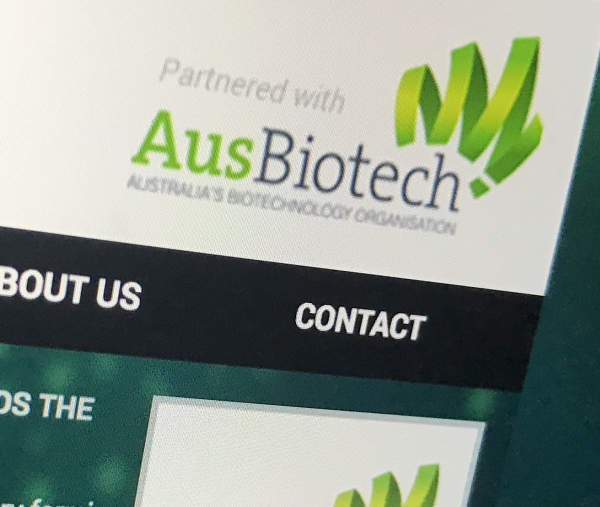 When relevant, AusBiotech has sought advance notice of implementation of the changes and the opportunity to comment on any subsequent amendments proposed. ensure harmonisation with global regulations and guidance; and ensure Australia’s regulatory framework remains relevant in an evolving regulatory landscape with rapidly changing technologies. It is clear that there are a variety of implications dependent on the technology being developed, and accordingly specific advice regarding implications per technology should be sought from individual sponsors. You can read all submissions on AusBiotech’s website.